Peter Pearson – Byzantine Iconography – History, Theology, and Prayer. Byzantine iconography is so much more than just a painting, it involves technique, history, theology, and prayer. Lots of prayer. Over the last half century, this ancient art has been rediscovered in the West and a few masters have taught interested people what they learned from their teachers. Peter Pearson has been painting icons for nearly 50 years and has been teaching others for 25 years. He’s published three books on the subject and leads workshops/retreats all over North America. His passion and curiosity are effective tools for introducing others to the sacred art that he loves. In addition to his teaching, Peter also does commission work and has done several very large jobs in churches here, in the Pittsburgh area, in Tucson, and around the country. 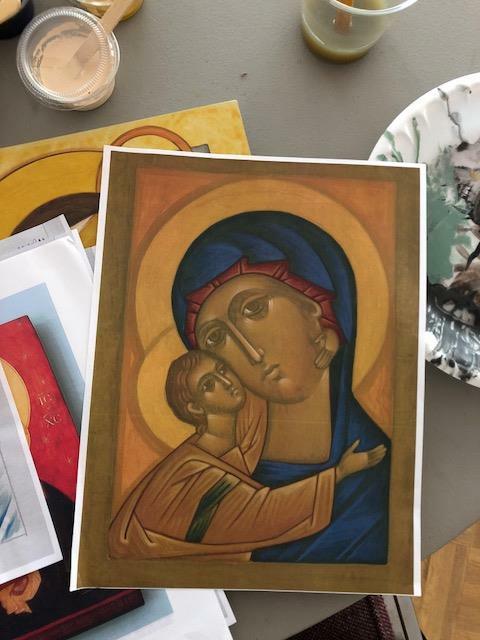 Fifteen years ago, he painted all the icons for Saint John the Baptist Byzantine Catholic Church in Hazleton and at this time he’s working on a similar project for the Byzantine Shrine of Our Lady, Undoer of Knots in Arizona. 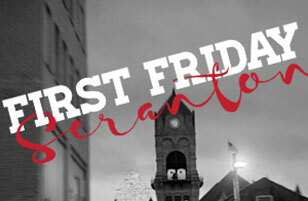 What you see in this small, First Friday Scranton exhibit, is the work done by Peter as well his students local artists Linda Naro and Michele Fenstermaker. The best way to view these icons is to simply look and then look some more. Gaze upon the images and stay open for what you might discover. The event will be held at Heaven & Earth Gift Shop, 400 Wyoming Avenue, Suite 100. Sometimes stars align, and sometimes they collide. It may seem very destructive, but two strong forces pulled by each others gravity, manifest a brilliant, saturated world; a perpetual phenomenon. Vibrant, beautiful colors carry a cadence of melodies in my mind. Expressing snippets of dizzyingly spectacular sights. “S Y N E R G Y” represents subconscious in its purest form. Melissa created a visualization of music by incorporating elements of synesthesia; a neurological condition that causes the brain to process data in the form of several senses at once. “S Y N E R G Y” transcends the traditional interpretation of experience, representing a deep connection with music and the colors circling around, flowing in a mixture of hues, textures, and movements, shifting as if they were vital and intentional elements of each song. Intended to feel elusive, she invites you to envision the potential of each piece in its own regard and re-imagine the familiar; making a collective consciousness. 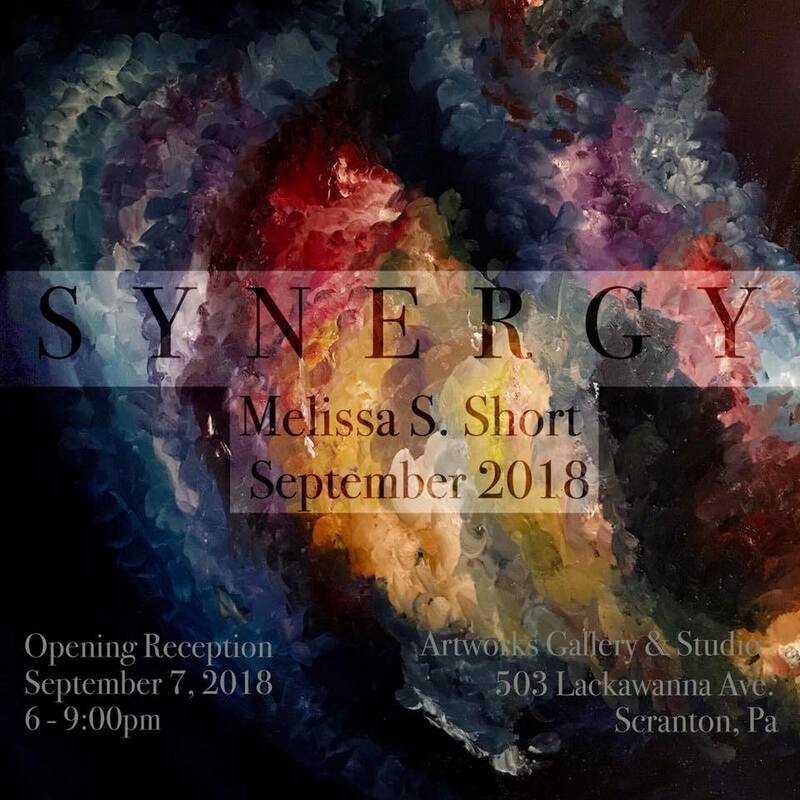 Melissa’s work will be displayed at ArtWorks Gallery & Studio, 503 Lackawanna Ave. Venues who wish to participate can submit their information at the link below. But hurry- the deadline to submit is Friday, August 24th!